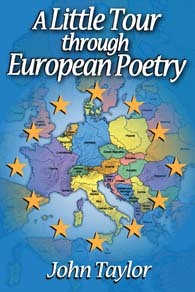 John Taylor’s regular Antioch Review column, “Poetry Today” covers European poetry. Many of his columns are now also available in his new collection, A Little Tour through European Poetry from Transaction Publishers. In late 1996, John Taylor wrote a letter, accompanied by a few clippings, to Antioch Review editor, Robert Fogarty, offering his services as a book reviewer. By then, he had been living in France for twenty years and had been a regular contributor to Anglo-American magazines and literary supplements for well over a decade; but, as a long time reader of the Antioch Review, he had wanted to contribute. Next to me is a box containing the printed-out e-mail correspondence between Judith and me. This correspondence is full of ideas about what we could highlight in the journal—but then we must decide. Alas, there are only four issues per year. Taylor’s contributions during his first seven years at the Antioch Review were primarily book reviews. One exception of which he is particularly proud is an essay on the French poet Georges Perros—likely, the first essay ever published in English on this poet and short-prose writer. The essay, appearing in the Summer 2000 issue, was reprinted four years later in the first volume of his three-volume series Paths to Contemporary French Literature; in 2011, the same essay helped him win an NEA grant to translate Perros’s work. In 2015, this translation—a selection from Perros’s three-volume cult classic, Papiers collés—will be published by Seagull Books. Taylor says he is indebted to the journal and to Judith Hall, who encouraged him to write this essay, and for many other projects that have unfolded as a result of his affiliation with the Antioch Review. It was during the spring of 2004 that Judith Hall, Robert Fogarty and Taylor conceived of the “Poetry Today” column. The first installment—on the Slovene poet Edvard Kocbek—appeared in the Winter 2005 issue. The idea behind the column was, and continues to be, to place the emphasis on the poetry, not on the personality of the poet; to focus on deserving, insufficiently known poets; and to feature foreign poetry because of what Taylor considers to be a lack of interest in poets writing in languages other than English, as shown by other American journals. Taylor’s reputation and expertise on all things European poetry is undisputable and his contribution to the Antioch Review has been immense. In 2013, he was awarded the highly regarded Raiziss/de Palchi Fellowship from the Academy of American Poets for his work on the translation of Selected Poems by Lorenzo Calogero—another poet who was first featured in the Antioch Review, in the Winter 2013 issue. One day in 2013, when I added to this group of poets I’d brought to an American audience through the Antioch Review, others whose work I had analyzed in other magazines, I realized that I had taken a sort of ‘grand tour’ of European poetry. But I prefer to call it a ‘little tour,’ like Henry James’s ‘little tour’ of France in 1883-1884. There’s still so much to discover. In all, Taylor has contributed forty-four articles and translations to the Antioch Review since 1997. 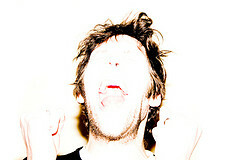 Of those, twenty are included in his new book. John Taylor was honored on October 25, 2013 at the Poet’s Forum in New York City as the recipient of the 2013 Raiziss/de Palchi Fellowship from the Academy of American Poets for his work on the translation of Selected Poems by Lorenzo Calogero. He is the author of two poetry collections: If Night Is Falling (Bitter Oleander Press, 2012) and The Apocalypse Tapestries (Xenos Books, 2004). His other published works include books of short stories and prose. Also a translator, Taylor wrote the critically acclaimed, three-volume Paths to Contemporary French Literature (2004, 2007, 2011) and Into the Heart of European Poetry (2008)—all four books published by Transaction. He lives in Saint-Barthélemy d’Anjou, France.